The RMX112 is ideal for compact rack installations but is suitable to a wide variety of environments and events. 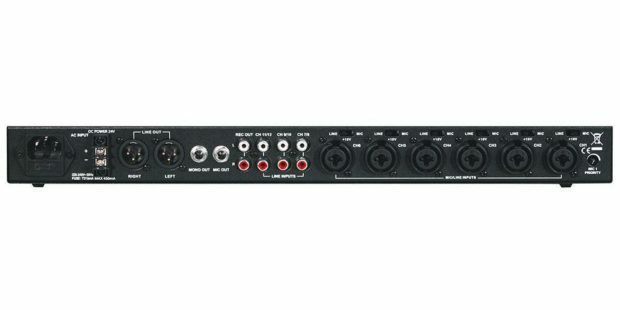 The 12 channel mixer comes with six mic/line combination inputs and three dedicated stereo inputs, as well as a low-distortion mic pre-amp with high dynamic range. Channel level controls with input signal LED indicators allow for ease of use, as well as four-segment LED signal level meters and mono and master outputs with level controls. Rent a mixing desk for your next event now from ITR – just speak to our sales team for more.